So we decided to get married! After a long engagement and busy life commitments we decided that 2017 was the year when we would take the plunge and tie the proverbial knot. We knew that a big church wedding or even large civil ceremony at home in good old England wasn’t for us. 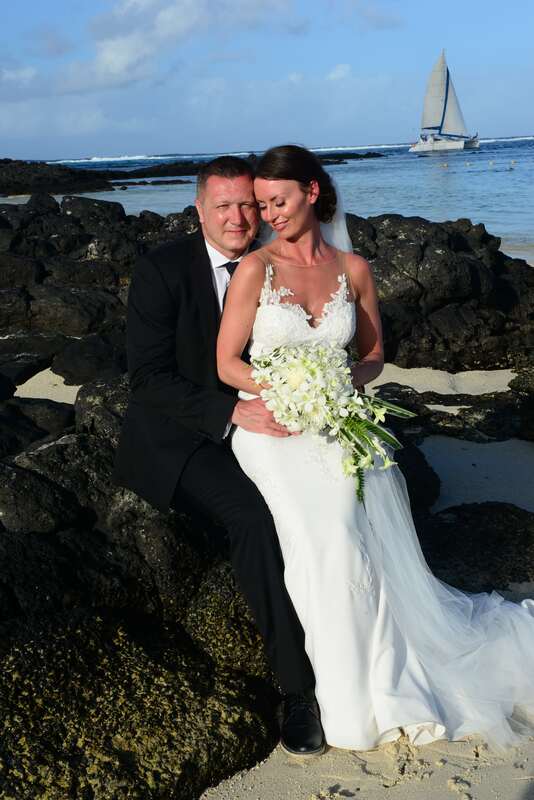 We wanted to keep it small and personal and combine our special day with a special honeymoon and a family holiday and so we (and by this I mean me!) started trawling the net for locations and hotels which would offer us what we needed. After a very long search, numerous conversations and a lot of toing and froing (there an awful lot of beautiful places to choose from!) we settled on Mauritius. It didn’t look there was anything not to love! Again, the choice of luxury 5 star hotels is huge. We knew we wanted the bells and whistles but the resort had to have an emphasis on family too, we needed the kids to have plenty to entertain them and as young teenagers a kids club just wasn’t going to cut it so the hotel had to have the facilities to cater for them too. We eventually decided on the Long Beach Golf and Spa resort on the east coast of Mauritius. The accommodation looked fantastic and the family suites would offer us the ability and peace of mind to have the kids near us but give them and us the privacy we all needed. There was also an abundance of activities, excursions and experiences to indulgence in (do not miss the underwater sea walk – it is mind blowing!). 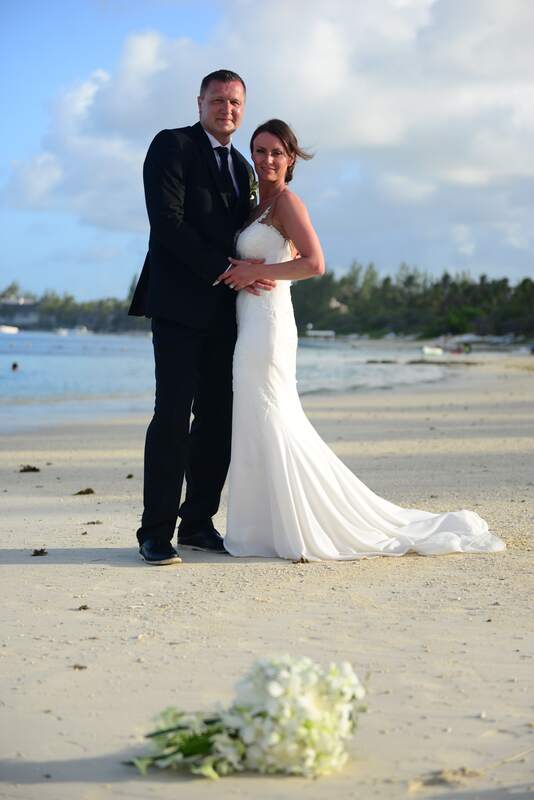 We bit the bullet and booked through Mauritius Direct who I have to say were truly excellent. 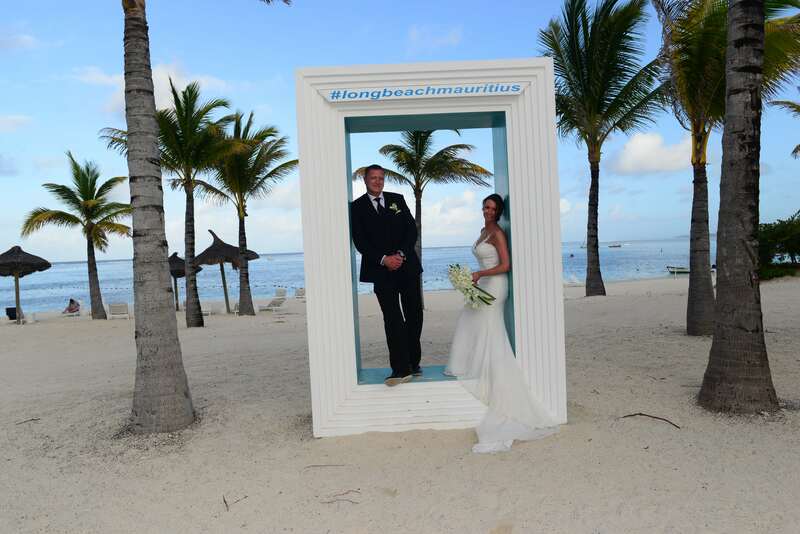 All we had to organise was the ordering of the copies of our birth certificates which needed to be less than three months old as this is one of the legal requirements for a wedding in Mauritius. The other paperwork was minimal and already to hand. Couldn’t be easier! As the departure for the big day drew nearer there was nothing to stress about just everything to look forward to. There were only the four of us travelling and the arrangements for the wedding were to be organised at the hotel with their on site wedding co-ordinator who had been in contact to say the only things we were required to bring was our choice of two songs on a memory stick! Talk about minimal! Just what the doctor ordered! Our arrival in Mauritius was smooth, organised and wonderful. 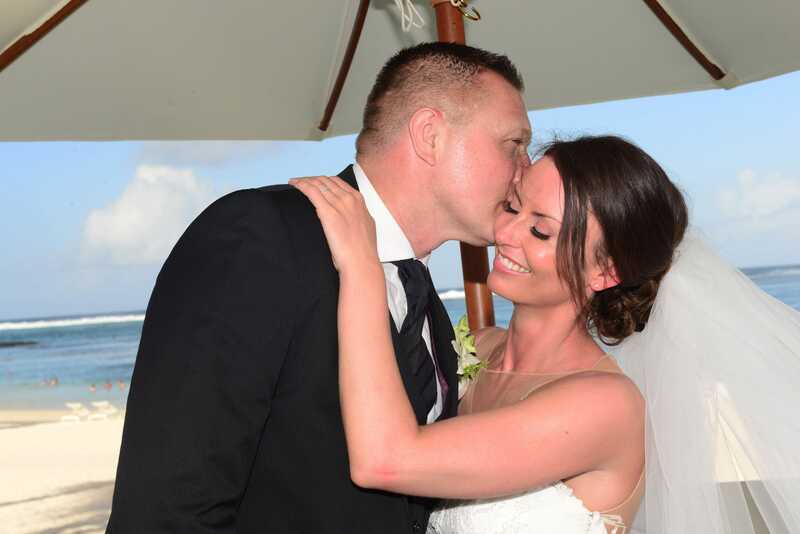 We were welcomed with a flower garland and the private transfer was perfect after such a long flight, the wedding co-ordinator Isabelle met us on arrival and arranged to meet with us the next day to talk over our requirements. There is a LOT of choice, you can make this as simple or as extravagant as you like and the people are lovely and happy to cater to any of your needs. Ours were fairly low key, the choice of flowers are stunning and they made sure I could have the delicate white flowers I had pictured. My hubby to be was allocated a room to ready himself in, my dress and the suits were taken away to be pressed and I was booked in for hair and makeup. The legalities side of things in Mauritius was so smooth too. We were escorted to Port Louis where we were aided through the process by our guide and then returned to the hotel all in the space of a few hours. We weren’t looking forward to this side of the wedding as we expected a long, laborious process but we couldn’t have been more wrong. 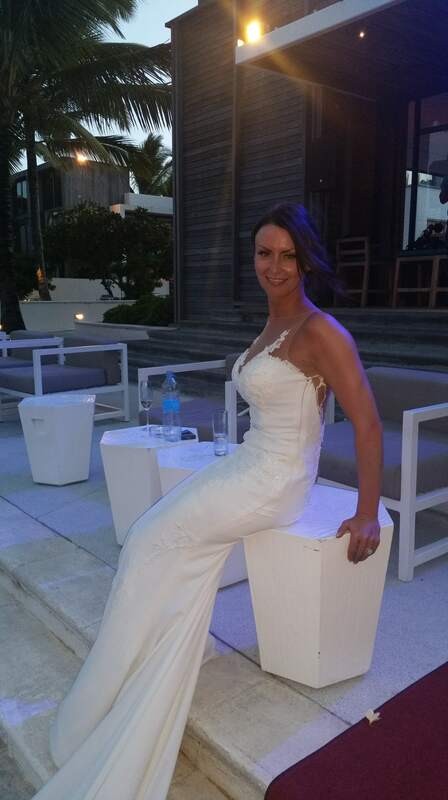 Just another bonus to getting married abroad! On the day of our wedding we shared a lovely family breakfast looking out across the Indian Ocean and then separated until we met again at the top of the aisle. I was transported by golf cart (the resort is very big) to the spa for my hair and makeup, I was nervous about this as I’m fussy with my makeup but I need not have worried. I showed the lady a couple of pictures, she literally looked at them once and that was all she needed. I couldn’t have been happier. The only tip I can offer here is make sure you have plenty of time! The Mauritian people are very laid back and I think I would have benefited with half an hour after I was ready to just take a deep breath! My boys were ready and waiting for me and we jumped into our ride and zoomed off to our chosen location. A beautiful lawned area overlooking the sea, lined by palm trees and in just the right spot for a little breeze to take off some of the heat. My boys walked me down the red carpet to Ellie Goulding’s “Still Falling for You” and it was an emotional moment to see my fiancé stood alone, with his coat tails blowing in the breeze waiting for us to arrive. My boys also acted as best men, providing our rings and bringing our family firmly together. It was a beautiful, never to forget day. The ceremony was heartfelt and very moving and I don’t think either of us could deny a lump in our throats. 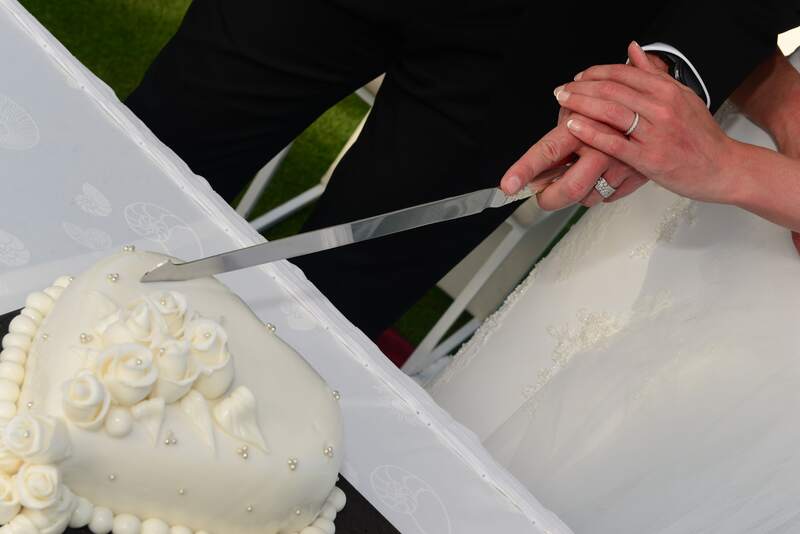 After we had signed on the dotted line we shared a glass of champagne (fruit cocktails for the kids) and cut our rather beautiful wedding cake. The photographer took us to the beach and we spent some time posing! Looking back the only things I wish I had thought of was to take or request confetti and also to do some research on the types of shots we would like to have had taken as we were totally winging it! However, the end results were great and we have some fabulous memories to look back on. Our day finished with a candle lit meal for four on the beach after the sun had gone down, they had personalised our menu’s and pulled out all the stops to give us a mouth watering meal and ensured the kids had everything they desired too. Absolutely perfect! 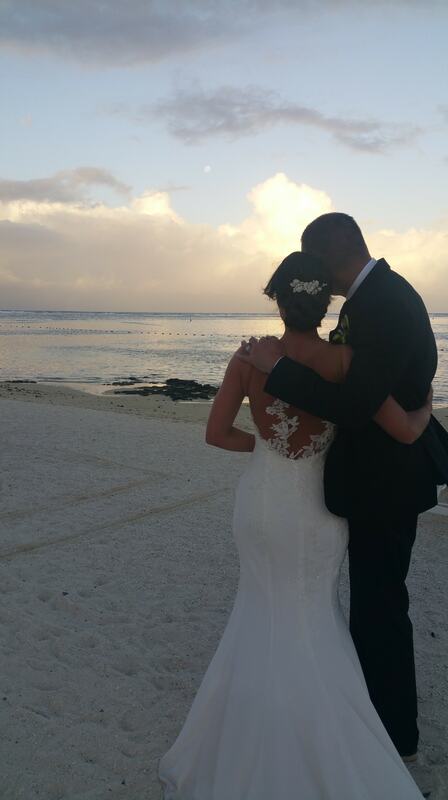 I can’t believe how wonderfully relaxing and special it was to get married abroad in such a beautiful location. The wedding co-ordinator and hotel staff went the extra mile to look after us and I can’t recommend making your promises to each other in the way we did enough. It was everything we hoped for and then some. If you are in a tussle over a home or away wedding I can’t tell you what to do, I can only say it was the best decision we could ever have made. Pure romance and magic. Here’s to happily ever afters!! Buy sea shoes!! 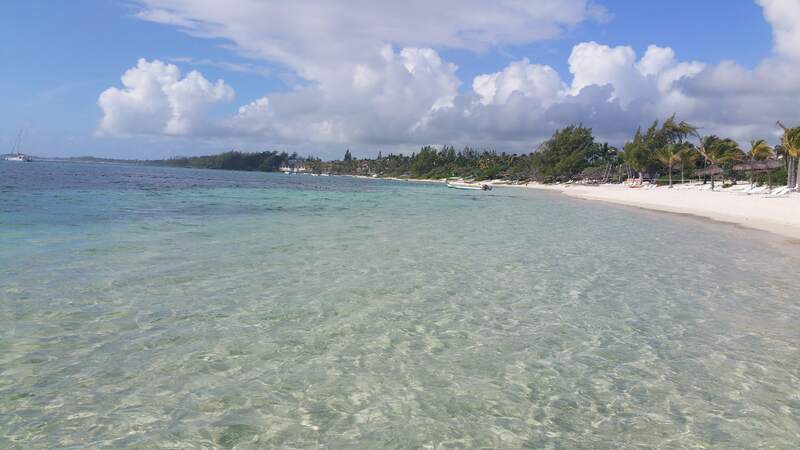 The sand is soft and powdery but does have sharp coral in places. You don’t want to be limping down the aisle! Sun cream is very expensive. Make sure you take plenty. Try and see something of the island. It’s beautiful and a private speed boat trip is worth every penny. The food is amazing and the deserts are out of this world. Forget your diet and indulge!! The sea looks beautifully calm but has a surprising current. If you are not a strong swimmer take care and request a life jacket from your hotels water sports centre. You can drift a fair a distance snorkelling in just a few minutes! Change your money to Mauritian rupees at the airport, you get the best rate there and its quick and easy. If you visit Ill aux Cerfs go in the morning as its much less crowded. It’s expensive for sun lounger hire so if you don’t want to pay make sure you have a towel!